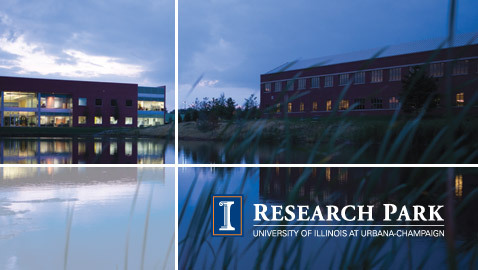 Brunswick Corporation announced it will soon open the Brunswick Innovation Laboratory in the Research Park at the University of Illinois at Urbana-Champaign. The Innovation Lab will augment the considerable research and development activity the company currently conducts across all of its primary lines of business, including marine engine, pleasure boats and fitness equipment. Brunswick spends hundreds of millions of dollars each year on research and development in a continuous effort to drive innovation into its new products, to enhance existing products and to improve its manufacturing processes. These efforts have been solidly productive, as the company continues to outpace its competition in the introduction of new products to market as well as securing patents on its technologies and features. In 2016, Brunswick ranked among the top 25 Illinois-based companies in securing patents. This newly established research arm for Brunswick will be under the direction of Troy Kollmann, who was formerly manager, innovation processes and emerging technologies, at Brunswick’s Mercury Marine division. The Brunswick Innovation Lab will work closely with Brunswick corporate and divisional resources to further accelerate Brunswick’s progress in its areas of high interest, including the Internet of Things, advanced analytics, and a range of human-machine interaction and enhanced user-experience technologies. The Innovation Lab will initially occupy a temporary location beginning in April before moving into its permanent location in what will be the Research Park’s newest building, currently under construction and expected to be completed and ready for occupancy at the end of 2017.